Take Tuesday of from cooking! 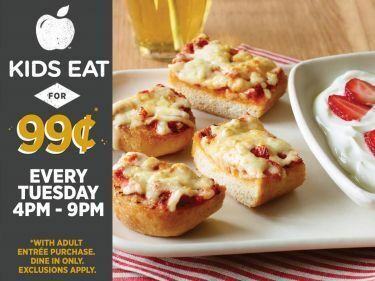 Kids eat for .99, with adult entree purchase. Tuesdays 4pm - 9pm. Dine in only. Exclusions apply.